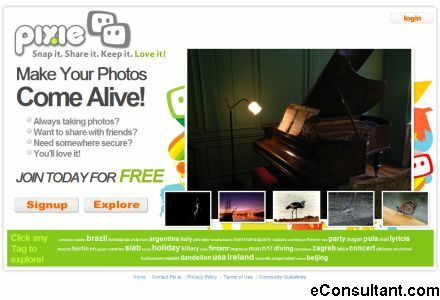 Description : Pix.ie provides you with a safe place to upload, share and permanently store your photos. The service have loads of cool features to make photo sharing on the Internet fun, safe and easy. Right now Pix.ie offers a massive 500MB upload limit per month. That’s up to 6GB per year for free.